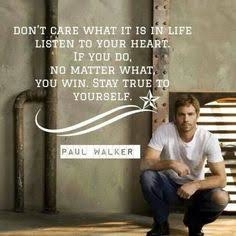 Don't care what it is in life, listen to your heart. 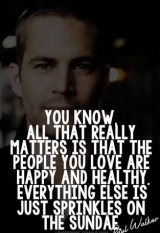 If you do, no matter what, you win. 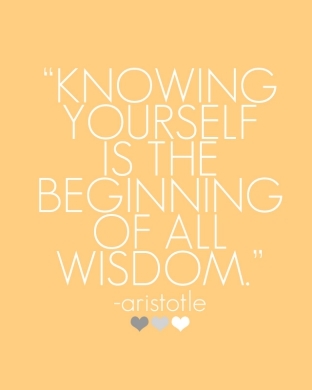 Stay true to yourself. "Don't care what it is in life, listen to your heart. If you do, no matter what, you win. 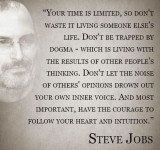 Stay true to yourself." Always be yourself, you don't need to conform or be like others. "Being a male is a matter of birth. Being a man is a matter of age. But being a gentleman is a matter of choice." This is for all the men out there. Be a gentleman by choice! "A lot of people are just really confused by me; they don't know what to think of me, so they try to compartmentalize me or diminish me. Maybe they just feel unsafe. But any time you have an overtly emotional or irrational, negative reaction to sometime, you're fearing something it's bringing up in you." Don't pay too much attention to what others think of you. 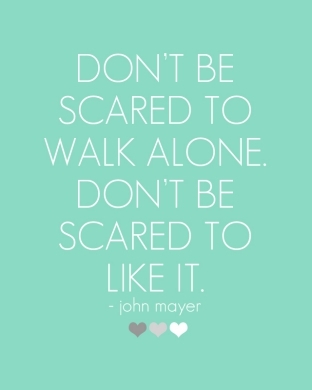 "Don't be scared to walk alone. Don't be scared to like it." 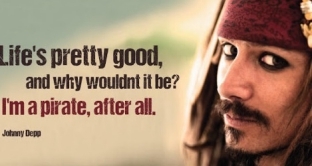 Be a pirate; a rebel; forever fighting for what you believe in. 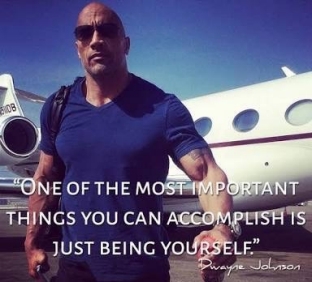 "One of the most important things you can accomplish is just being yourself." Just be yourself! Dont try to be anyone else... you are the best "You"! 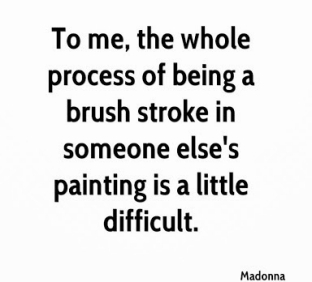 "to me, the whole process of being a brush stroke in someone else's painting is a little difficult." Always remember that you don't have to be controlled by anyone, be who you are destined to be! 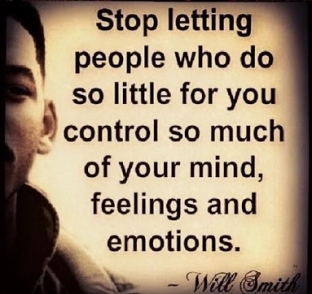 "Stop letting people who do so little for you control so much of your mind, feelings and emotions." What runs through your mind, largely directs the direction of your life. Your mental energy is a precious gift, don’t waste it. "I always felt like I was a freak when I was growing up and that there was something wrong with me because I couldn't fit in anywhere." Don't feel bad if you are not like everyone else, instead feel glad! 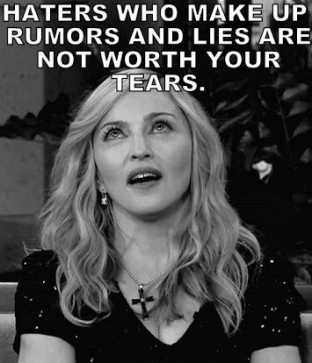 "Haters who make up rumours and lies are not worth your tears."